If you've followed our band a bit over the last few years, you'd have noticed that we enjoy releasing recorded music apart from our "official" records. Lots of bands do it. Its always fun for us. In the early spring of 2000, we printed an EP called 2000 A.D.D., months before our self-titled album came out. It was the first thing we'd ever done with a record label logo on it. I guess it seemed pretty special to us. We've been having a good time making Christmas records, EPs, and Acoustic releases ever since. Gotee signed us up for six. 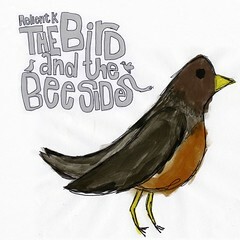 And for number six, we decided to release an EP, B sides, and rarities album called The Bird And The Bee Sides. The following is the track-list for the 26 songs that are going to be on the physical copy. Its everything that we could squeeze on to one disc, I promise. (the suits talked us out of doing a dual disc release) An additional, digital album will also be included with The Bird And The Bee Sides. We don't know how many songs are going to be on that yet. Again, we'll keep you posted. 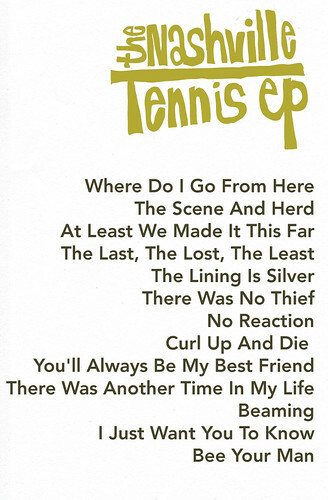 The first thirteen make up The Nashville Tennis EP. These songs are new tunes. Track six is a new version of the previously recorded song, The Thief. The last thirteen songs have never been sold in a record store. Some have been on various EPs we've done, some are acoustic covers of album tracks, and some are demos. All of them have been remastered, and a lot of them have been remixed. The Bird And The Bee Sides. Its going to be a cardboard digipak, the price of a normal cd, and available in stores July 1. Please pass this message on to anyone you know who might care. Please. Head here to check out a new song called The Scene And Herd. This is awesome news - really looking forward to it! This is way its great to be a fan! FINALLY!!!! HaHa, You Have No Idea How Excited This Made Me. The Scene And Herd Sounds Great When Its Not Filmed From Someone in A Crowd At One of Your Shows :D Yay For July 1st!!!!! HUZZAH! OO-RAH! and every other exclamtion of joy! must....preorder...cd.....or....fall....over.....dead...lol i'm normallypretty calm but i cant even stay in this chair right now. scene and herd sounds wicked sick...arrgghh!!!!!!! i'm like bouncing off the walls right now. Thanks RK. perfect timing for summer!! yay! Oh. My. Gosh. I am freaking out inside, but maintaining a calm persona on the outside. I can't wait!!! Oh goodness. I am going to go buy a calender and multi-colored sharpies and mark down the days. You can count on me to be outside the record store well before midnight on the last day of June. Okay, I must now proclaim the amazingness to everyone i know. The Scene and the Herd is flat out awesome. 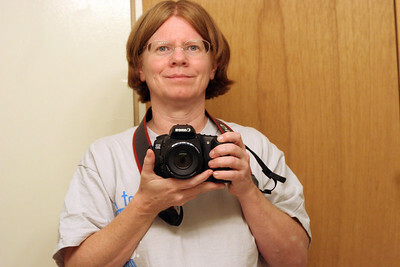 Am wearing out the myspace player. Well done RK! YAY, YAY!!! I'm SOO excited!!!!!!!!! gots dis baybay on preorder! Wow.. I think you were trying for the Guiness Book of Records on the longest ep ever recorded. I think the definitions have been changed? LOL I love it, though. Really looking forward to the acoustic version of Fallen Man. I also listened to The Scene and Herd on Myspace. I like it. I think some of that needed to be said. :) I"m also looking forward to hearing the new version of The Thief. The title sounds quite different. I'll be preordering. I have my ticket for Warped and was wondering if any of those songs will make it on the set list. Sounds awesome, Matt. Where can I pre-order this thing? Can't wait to buy this. 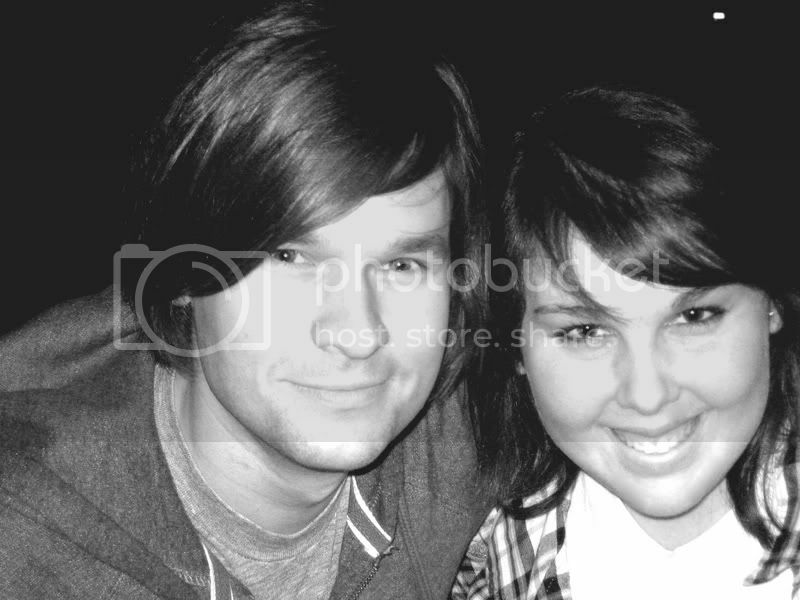 PS: Addicted to "The Scene And Herd", keep replaying it. hey matty! i love the news! now july 1st is my favorite summer day! lol!you really have your ways of making everyone happy! i swear i am addicted to the new song the scene and herd! i already know it by heart! its amazing! I am totally looking forward to it, your cd's always inspire me! gah. thanks for keeping us posted! am looking forward to this . "The bird and the bee side" =D gotta love that title! can anyone in the UK pre order this CD? WHOOOHOOOO!!!! I CAN'T WAIT TA' GET IT!!!!!!!!!!!!!!!!!!!!!!!!!!!!!!!!!!!!!!!!!!!!!!!!!!!!!!!!!!!!!!!!!!!!!!!!!!!!!!!!!!!!!!!!!!!!!!!!!!!!!!!!!!!!!!!!!!!!!!!!!!!!!!!!!!!!!!!!!!!!!!!!!!!!!!!!!!!!!!!!!!! !YAY RK!!!!!!!!!!! QUESTION: Are all these songs taken from other CDs? I JUST HEARD THE LINING IS SILVER!!! AND I CAN'T BELIEVE HOW AMAZING IT WAS!!! THAT JUST MADE ME SO HAPPY! AND I CAN'T SEEM TO STOP TYPING IN CAPS BECAUSE I AM SO EXCITED!!!! I CAN'T GET OVER HOW AMAZING YOU ARE!!!!! I AM SO AMAZINGLY EXCITED!!!!! JULY FIRST WILL BE THE GREATEST DAY OF THE SUMMER!!!!!! Nothing against the newer fans though. Although I am pumped, since I can't even find the Vinyl Countdown on Ebay. I love the new song and I'm going to buy this ep! Love to hear your new record(s). Hope they'll be available soon here as well as in the US, though usually it takes some extra months :(. Your 'add comment' button is making me very angry. Well that's good news.. except I'm poor. haha. I didn't even hear about you guys til like a week ago. Shows how big of a nerd I am. Tu fan número 1 en México. Cantas genial... simplemente el mejor. You sing genially... simply the best. Your new simple one is Super!!! Wow... haven't followed Relient K since my teenage years (so, like, eh... 4 years ago? 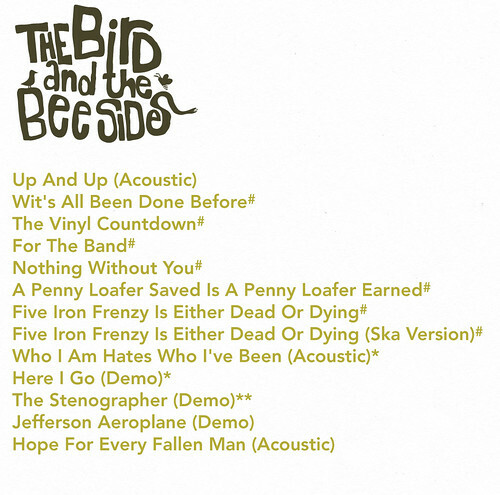 ), but reading the "Beeside" demos really makes me want to break out my Employee of the Month EP and Creepy EP. 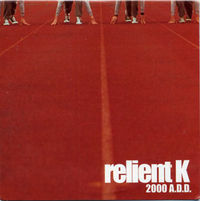 Relient K is just about the most amazing band ever and when I found out about this EP I just about died! I already found the first secret song [which I already had] and I can't wait for the whole CD to come out! hey Matt! i know everybody says they are your #1 fan, but I just wanna say ur pretty high up on my hero list. i know what u've done as part of Relient K, and I am soooooo excited every time you guys put out a new album cuz i am NEVER disappointed. My birthday is ten days after your album comes out,(7/11) and so far, it's the only thing I'm begging people to get for me. So thank you for giving me something to look forward to for my 17th birthday. Wait... there's a digital album as well? i never saw it! Where can i get it? am i missing something? AHHHHHHHHHHH!!!!!!!!!!!! someone, please email me at clayisajedi@hotmail.com if you have an answer!!!!!!!!!!! Make you self effortless searching best Mens Suits for your husband.